Raising the bar on ‘PINK’ spirit! The Power of Pink challenge gives players and fans the chance to Kick it up a notch and takes our event to a whole new level. 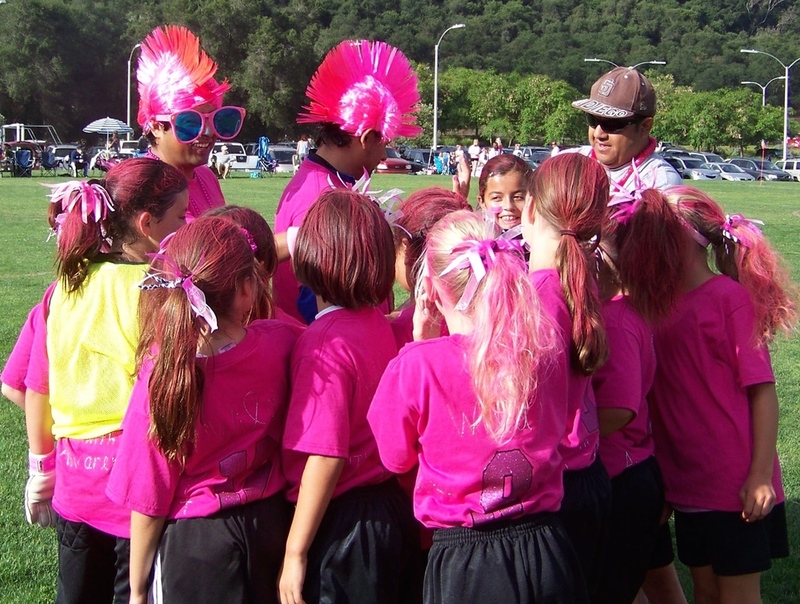 We challenge teams to bring their best pink selves to the field to really show us what they can do. Adding the Power of Pink challenge to our tournament was one of the best things we could have done, it changes EVERYTHING. 2019 Kickin' It Challenge will be awarding two "Power of Pink" awards at the tournament and one Fan Favorite Power of Pink award after the Tournament. Recipients will be chosen based on the best representation of the "Power of Pink"
To be considered for the award, a team must come to the check-in area for a photo to be taken on Saturday by 4 PM, teams with earlier and later games will be photographed at check-in. Photos will be posted to the tournament's Instagram page, KickinItChal. Recipients will receive award, Power of Pink t-shirt for each player, and certificate for entry into 2017 Kickin' It Challenge. Show your support for your favorite team or team photo by liking their photo on the Kickin It Challenge Instagram page, KickinItChal. Teams may submit their own photo for the tournament to post by emailing photos to KickinItPhotos@gmail.com with "Fan Favorite" in the subject line. Emailed photos must be submitted by Tuesday, June 23, 2015 by 8 pm. Photos will be posted by Thursday, June 25, 2015 8 pm. Contest starts Friday, June 19, 2015 and runs through July 8, 2015 at 11:59 pm. All contests are designed to be fun and good natured competition. Decisions will be tough and all team's effort is appreciated. All decisions made will be final. Please use #KickinItChal when posting images to Facebook, Instagram, Twitter, etc. Remember to like us on Facebook!!! G05 Poway Vaqueros - cooling headbands for a hot day at at the field.